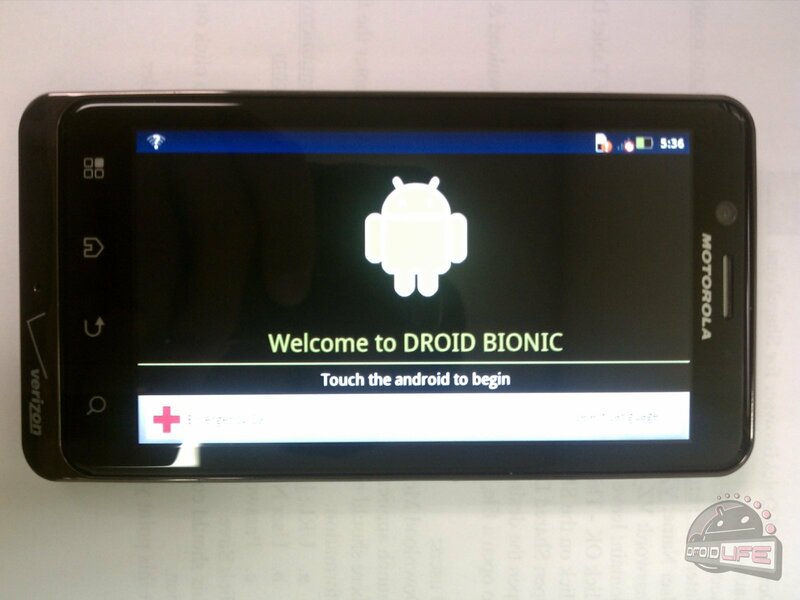 As you probably read from our post earlier, DROID Bionic shipments and launch kits are arriving in stores today. Reports from a variety of our sources have had their hands on the device and so far, seem to be very pleased with it. Most are impressed, even surprised, by how light it feels in hand. The phone apparently boots up incredibly fast and has little home screen redraw, something that bothered us immensely on the DROID3. The camera is also supposed to be greatly improved – maybe that means they fixed the blue issue from the D3? The screen is definitely a PenTile matrix, but depending on who you talk to and which picture you look at, it’s tough to tell how bad it is. This is one of those times again, where we recommend you actually get your hands on the phone and decide for yourself. Some love the screens that Motorola has chosen to use this year, while others would rather chew on a bar of soap. What we have for you today though, is one more big ol’ gallery of pictures of the phone to take us into the weekend. The phone will be here next week, which means we can get ready for the HTC Vigor, hopefully start to hear a ton of news on the DROID Prime and whether or not it exists, and then get prepared for the holiday device push. Everyone breath and have a fantastic weekend. Comparisons to the DX, some side angles, and another look at that sweet launch kit below.